The Fleek Hair Loss Shampoo is a Bio-Cleansing Shampoo. It gently cleanses and removes Sebum and DHT from the scalp,helps control scalp irritation, and delivers important bioactive nutrients to create a healthy environment for hair growth. It gently cleanses the scalp and removes Sebum and DHT from the hair root as important bioactive nutrients moisturise, nourish, and improve the hair and scalp condition, creating a healthy environment for proper hair growth. Active ingredients reduce and block DHT production and its destructive effects on the hair follicle. Safe and effective for both men and women. 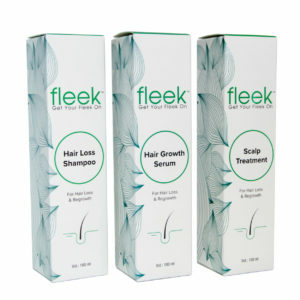 Promotes thicker, stronger and fuller hair. No systemic side effects. 100 % natural ingredients. The Fleek Hair Loss Shampoo is a Bio-Cleansing Shampoo. It gently cleanses and removes Sebum and DHT from the scalp, helps control scalp irritation, and delivers important bioactive nutrients to create a healthy environment for hair growth. It gently cleanses the scalp and removes Sebum and DHT from the hair root as important bioactive nutrients moisturise, nourish, and improve the hair and scalp condition, creating a healthy environment for proper hair growth. Active ingredients reduce and block DHT production and its destructive effects on the hair follicle. Safe and effective for both men and women. 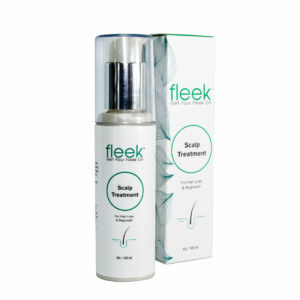 Promotes thicker, stronger and fuller hair. No systemic side effects. 100 % natural ingredients. Apply to wet hair. Gently massage into the scalp and work into lather. Leave on for few minutes. Rinse thoroughly with warm water.